﻿Fibre Broadband has arrived in our Parish. Should you sign up to it?..............A good question! Below you will find three documents to help you understand broadband and decide what to do plus a link to comparisons of broadband providers. ﻿Introduction to superfast broadband and benefits to home communities and business. Things to consider when signing up to Superfast Broadband. ﻿​Explanations to a glossary of terms in regards to broadband. A broadband comparison web site of all the key broadband providers. For a more in depth view click the button below, enter your post code and start test. ​A number of residents have been watching the progress of BT and Openreach in regards to the installation of Fibre Broadband to our parish. Many residents have been affected by loss of service over the last few months caused be the new installation of the fibre cables into the green cabinets dotted around our parish. Hopefully all is now stable and we are aware of a few people already signed up to Fibre Broadband who will be live middle of January 2016. If you have already signed up and have received a new router from your provider please realise you cannot use the new fibre broadband router until your "go live" date for fibre otherwise it will not work. 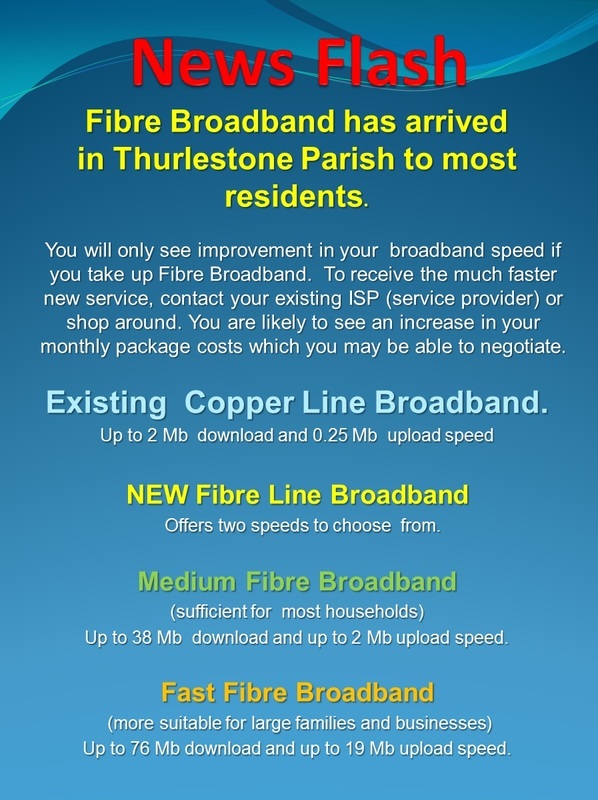 One of these people, Chris White of Thurlestone, a keen advocate of Fibre broadband has put together his technical thoughts and experiences on this which maybe useful to those more technically minded.